Freie Universitat Berlin, Institute for Meteorology, Carl-Heinrich-Becker-Weg 6-10, D-12165 Berlin, Germany. The regional climate model HIRHAM has been applied over the Asian continent from 0°N to 50°N and 42°E to 110°E to simulate the Indian monsoon circulation under past and present-day conditions. The model is driven at the lateral and lower boundaries by the atmospheric output fields of the global coupled Earth system model ECHAM5- JSBACH/MPIOM for 44-years-long time slices during the mid-Holocene and the preindustrial present-day climate. Simulations with a horizontal resolution of 50 km are carried out to analyze the regional monsoon patterns under different external solar forcing and climatic conditions. The focus is on the investigation of the HIRHAM simulated summer monsoon circulation and the comparison of the regional atmospheric circulation and precipitation patterns between the paleo- and the preindustrial climate. 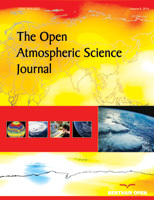 Due to mid-Holocene changes in the atmospheric circulation with a reduced and southward shifted monsoonal flow across Arabian Sea and Bay of Bengal, an increase of summer rainfall at the windward slopes of western and southern Himalayas as well as over southern India and decreased rainfall over central India appear which is in agreement with proxy-derived precipitation reconstructions. During the mid-Holocene as well as for the present-day climate the same driving mechanisms for the summer monsoon in extreme wet monsoon years related to regional SST anomalies in the Indian Ocean and convective processes can be verified. Positive (negative) SST anomalies in the northern Indian Ocean enhance (inhibit) the local convection associated with a deepening (weakening) of the low pressure and trigger wet (dry) rainfall anomalies.